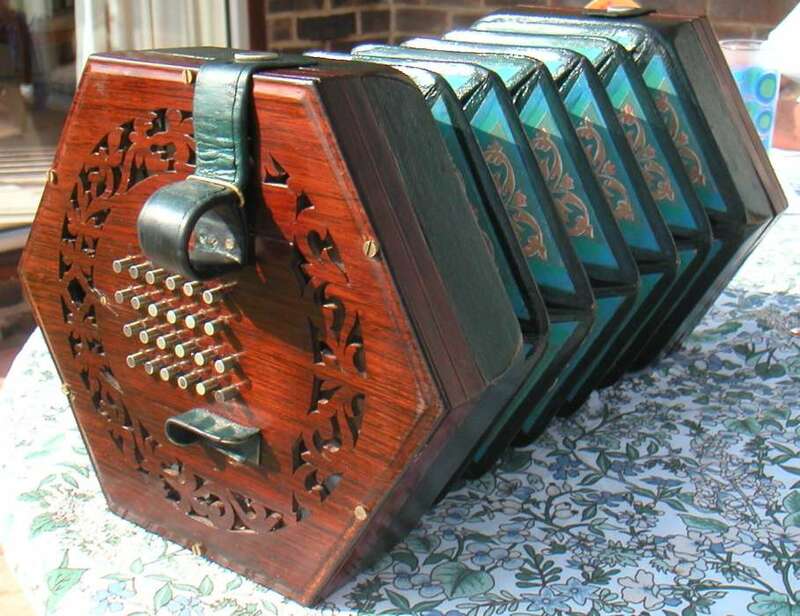 This page has a couple of music recordings from a subset of the Chiltinas self-help concertina group, recorded while playing at the "collaboration" musical get-together in Whittlesford village hall on the 27th October 2012. They were recorded on an Zoom H2 (compressing directly to MP3) and processed using Audacity, both by Paul Hardy. The quality could be better if I'd recorded to WAV, but it is fair, considering the portability of the equipment! The players are four members of the Chiltinas - Paul (on baritone), Ross, Sarah, and Liz. All in a Garden Green (2.8MB), Traditional (in Playford 1650), arranged by Paul Barrett.